Welcome to our page of bed and breakfast in Midsomer Norton! The two towns of Midsomer Norton and Radstock are known collectively as Norton Radstock. Midsomer Norton is a traditional market town situated Bath and the Mendip Hills. The River Somer runs through the centre of the town. Midsomer Norton has a variety of different and specialist shops & some fine historic buildings & a Farmers Market on the first Saturday of every month.If you are in the right town but cannot find the accommodation you want on this page, you might consider Midsomer Norton hotels & self catering accommodation in Midsomer Norton. Also see Midsomer Norton & Midsomer Norton attractions. 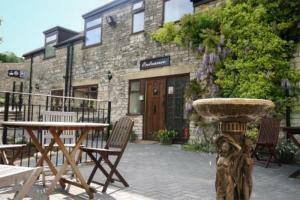 For bed and breakfast in other areas nearby see Bed and breakfast in Radstock & Bed and breakfast in Shepton Mallet.